The mission of the Phoenix Japanese Friendship Garden is “To provide a place of beauty and tranquility as an escape from the everyday pressures of life for meditation and relaxation and to enrich and restore the body, mind and spirit.” This small 3.5 acre Japanese stroll garden certainly succeeds. Today’s visit was augmented by an exhibit of about thirty pieces of Fiber Art displayed throughout the garden. Among our favorites were “Moon Window” by Judith Harmony, “Yatsuhashi – View From Above” by Loraine Sample, and “Bamboo Fence” by Alice Hill. A statue of Shachi, presented by sister city Himeji, Japan, is a mythical ferocious fish that serves as a charm to guard against fire and disaster. Koi churned the pond in anticipation of being fed. 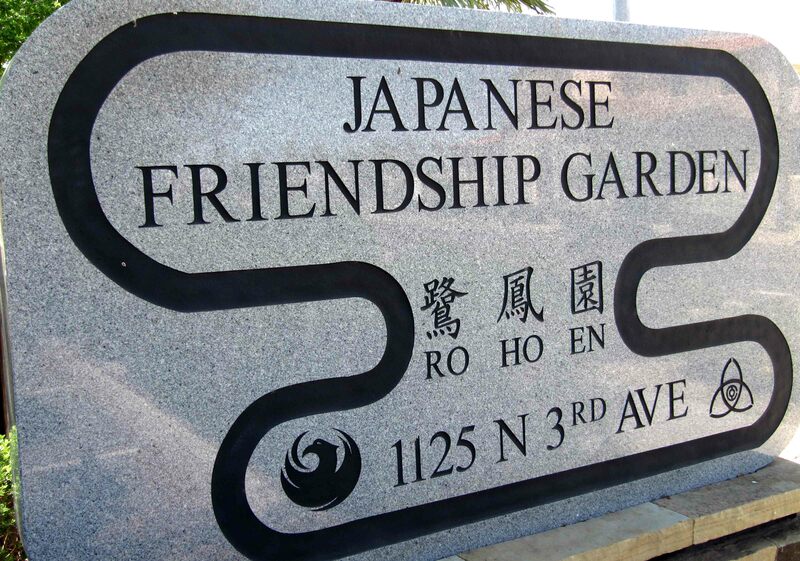 The Japanese Friendship Garden is a relaxing respite within Phoenix. More than 400 arts & crafts booths stretch through the closed streets of downtown Tempe for the Festival of the Arts. Ceramics, woodwork, sculpture, photography, and painting artisans were well represented in this three day event. One noteworthy exhibitor uses embroidery to stitch painting like animals and landscapes. Clothing, including a hat maker, were also mixed in along with venues for musicians. We did not see more than one-third of the booths. 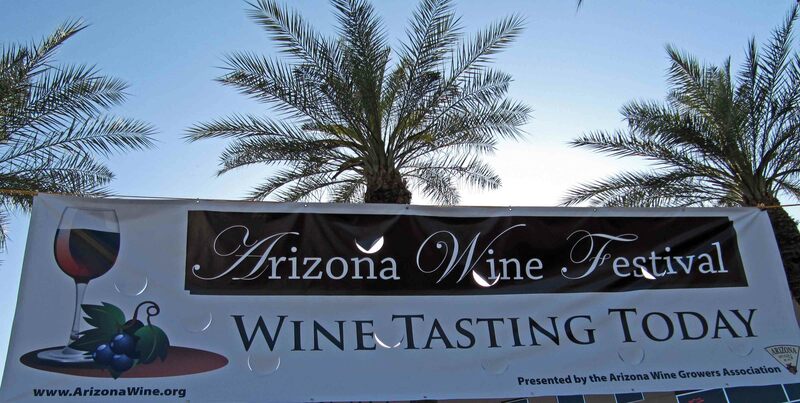 The Arizona Wine Festival held concurrently with the Festival of the Arts featured a dozen Arizona wineries. We sampled offerings from the Jerome Winery, Elgin’s Kief-Joshua Winery, Chandler’s Kokopelli Winery, Corniville’s Oak Creek Vineyards, Scottsdale’s Su Vino Winery, and the Wilheim Family Vineyards located in Elgin. As we progressed, the lines seemed shorter. Perhaps the adjacent jazz musicians helped mellow our senses. Take enough time to fully enjoy these two fine events! Until June 6, the Phoenix Art Museum is exhibiting 120 of Ansel Adams’ photographs and related items from the University of Arizona’s Center for Creative Photography. Adams first photo album from a family vacation to Yosemite is presented in its entirety in a digitized version along with examples of his first snapshots. The exhibit also displays his unique architectural views including some of his commissions. Of special interest to this new resident were highlights from Adams’ work in the American Southwest ranging from pictures of New Mexico Indians, Canyon de Chelly, San Xavier del Bac, and the Grand Canyon. Adams’ masterpiece Moonrise, Hernandez, New Mexico is presented with the negative and an alternative print. His dodging tools on this work and his pictures of aspens were especially interesting to me. The exhibit has several examples of Adams’ awe-inspiring views of the wilderness landscape from his project to photography Ameica’s National Parks. In addition to displaying Adams’ work for Arizona Highways, the exhibit examines Adams attempts with color. Although Adams never exhibited anything with color during his lifetime, perhaps he would today given the advances in color printing technology. Finally, this exhibit shows videos of Adams teaching and displays his willingness to share his knowledge through workshops and instructional manuals. Our quick walk around the museum was limited to the massive Contemporary collection. We finished our afternoon with a walk through Yayoi Kusama’s You Who Are Getting Obliterated in the Dancing Swarm of Fireflies. This dark room with mirrors is filled with strings of LED lights that dim and fade between colors. It is easy to become disoriented in this infinite space with no visual boundaries. 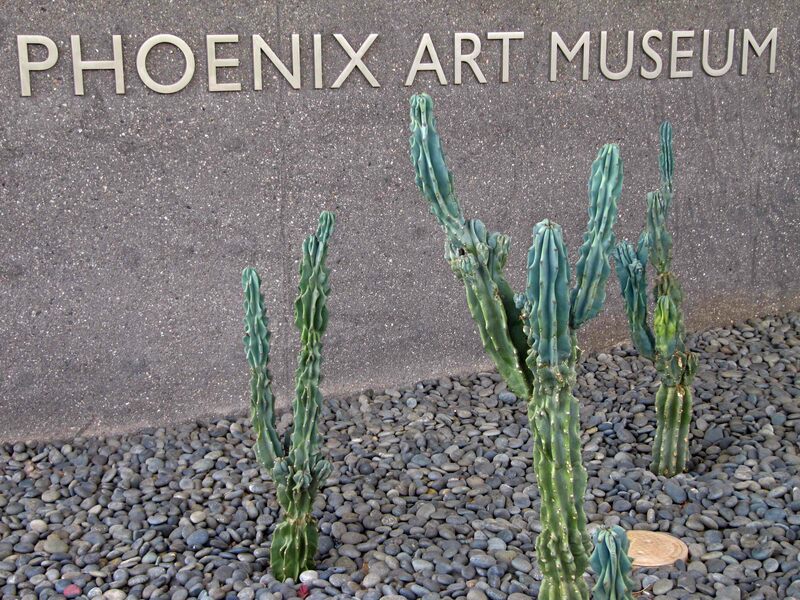 The Phoenix Art Museum is a local gem! 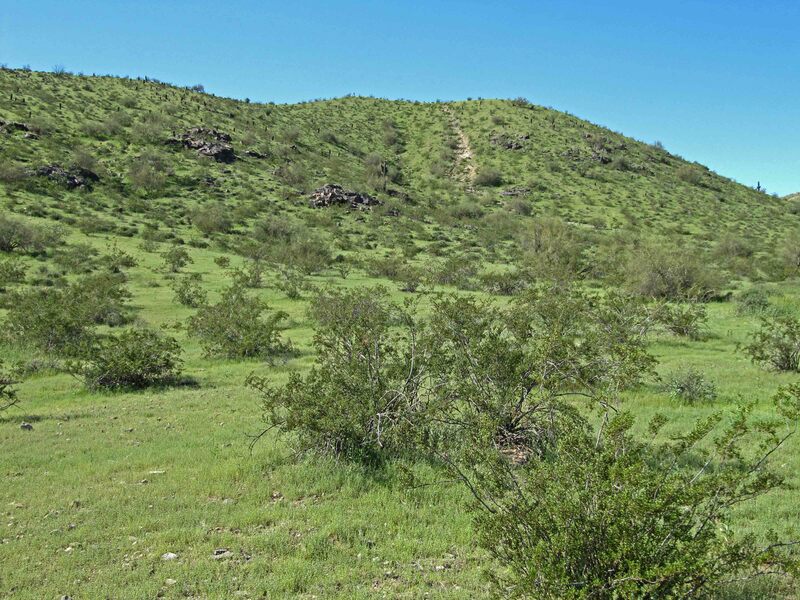 South Mountain is green after the unusual amount of rain thus far this year. Our exploration of this nearby hiking mecca started at the 46th Street parking area. Blue and yellow colored wildflowers lined the Javelina Canyon Trail. My skills with the new camera need more work to capture pictures of flowers. We crossed over a ridge to take the Pima West and Pima East Loops with nice views of Camelback and Phoenix before returning on the Beverly Canyon Trail. Sergei Prokofiev revised Sinfonia Concertante for Violoncello & Orchestra, op. 125 several times. About ten years after it was first presented, Prokofiev collaborated with cellist Mstislav Rostropovich in revising and recasting this work. The Phoenix Symphony’s guest artist, Daniel Müller-Schott, met and worked with Rostropovich thereby providing direct lineage with the virtuoso. This piece of music melds the classical form with avant-garde surprises. During the intermission conductor Michael Christie masterfully interviewed the guest soloist. Müller-Schott said that he tries “to stay in the moment” rather than think ahead about the technical challenges of the piece. This performance demonstrated the full range of a cello’s musical possibilities. The performance concluded with Pyotr Ilyich Tchaikovsky’s Suite No. 3 in G Major, op. 55. The music flowed smoothly through four movements culminating in an impressive finale. Concertmaster Steven Moeckel provided elegant violin solo passages throughout this easy to listen work.